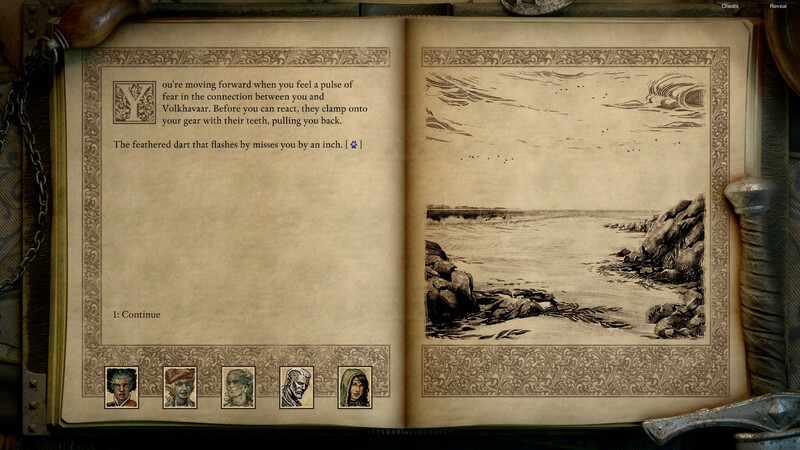 ...introducing my wolf to random creatures of Eora. Well done Obs. On a side note, anyone tried trapping the Dragon? For me it ends up in a fight and I am not able to protect the wards. At best I can kill two tentacles saving just one ward from getting destroyed but by then the dragon has so much concentration that I am not able to stunlock him before he waves the final ward to death. I dont want to crew over Huana by killing him, as the current playthrough is in support of "traditionalists", but I also don't want to let him go, so he won't kill the Guardian for me. Ranger has a lot of great dialogue throughout the game. Edited by Ophiuchus, 13 February 2019 - 04:38 PM. I always release a part of his soul to satisfy the watershapers and then let him go. It's money for later playthroughs when you don't want that crazy final fight. Yeah, I did that with my first character, with second I killed him, because screw Huana when you are from Rauatai, but with the third one I want to keep him there. Well, I will give it couple tries. But for now: Gathering Storm! nice. i played a ranger a long time ago, but i must've missed out on these encounters or skimmed too much. the little touches of class-specific (and sometimes sub-class specific) reactivity are real nice, even if they don't add too much to the game. Edited by thelee, 14 February 2019 - 09:31 AM. They acnowledge the presence of the animal quite frequently which I appreciate: helps in bringing the animal into the story and ties it to the main character. @Ophiuchus Looking at your pets name I make a guess that you too made an attept to name it to fit White that Wends background. ha! I constantly struggle to remember how my rangers name is pronaunced. 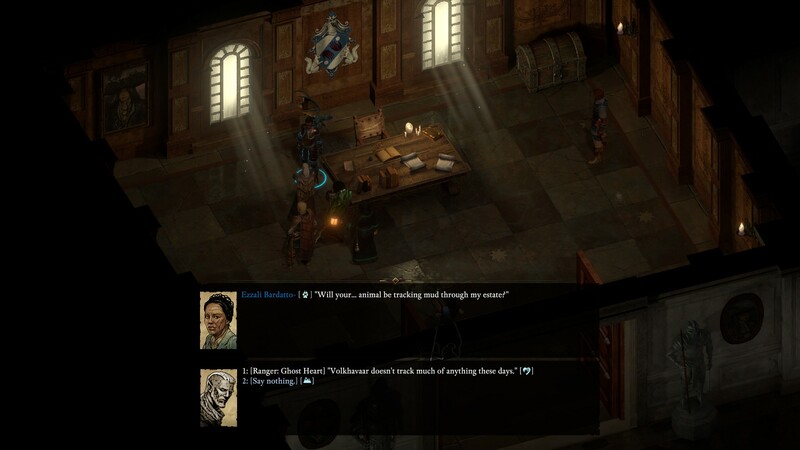 I'm nearing 730 hours in Deadfire and still haven't fought the Guardian of Ukaizo because I always feel bad for the guy and free him. Maybe one day. Sort of. I've been using "Volkhavaar" as a pet wolf name in RPGs since my UO days. I found it through an RP name list in an AOL message board ages ago. brb...need to go drink my Ensure. This is really cool. Nothing like interrupting an important conversation to show attention to your pet. Edit: Nvm. I learned english grammar about singular pronouns in the meantime. Edited by Frak, 22 February 2019 - 11:41 AM. One the side note - the battle wasn't that bad after all. All it needed is bunch of Thrust of Tattered Vail to keep the dragon from murdering everyone with one spell cast. I didn't realize there was so much interaction with the animal companion! I'll need to remember that for my next full playthrough. Rangers have always been a sort of favorite class that I tend to save for secondary plays, but it did always bother me that a player's companion didn't seem to ever really be acknowledged much - whereas a companion ranger's will. Good on Obs for including all of that! It really makes the bond seem stronger between the ranger-Watcher and their animal friend.